I bought a Garmin nüvi 250. For someone travelling in or to a new area, a GPS navigation device is wonderful. It allows you to concentrate on driving and let the GPS unit do the navigation for you. Today I decided to upload some new vehicle icons. I grabbed a bunch, downloaded then to my computer, and then extracted them from the ZIP files onto the Garmin unit. It was attached to my computer via a USB cable and appears as a hard drive, much like any standard external storage device. This is great. Now we have a vehicle icon that more closely matches our car. Hmmm, what about Starbucks? I gotta have me my vente no-whip three pump mocha frappuccino with a dome top! 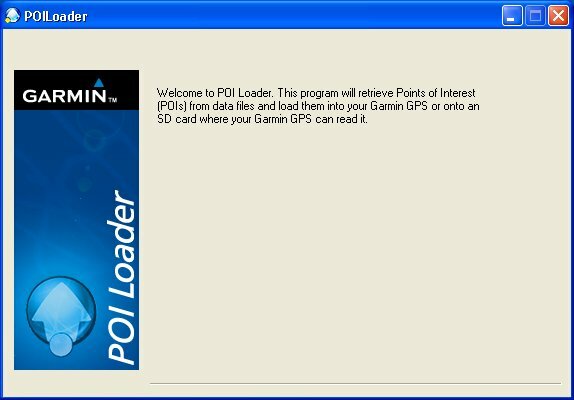 I downloaded the Garmin POILoader and ran it. Hmmm, no controls, nothing to do… How do I use this software? Next, I posted a thread at the POI Factory. 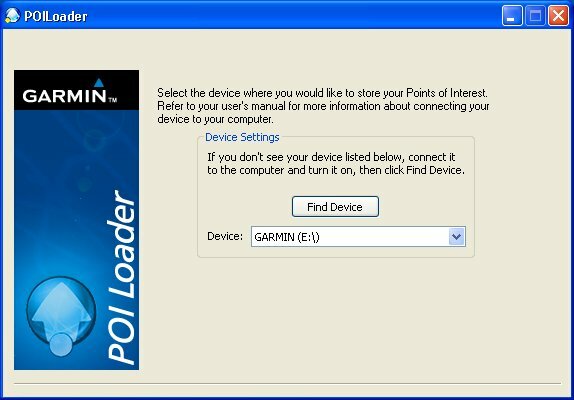 Then I tried Garmin’s WebUpdater and updated my unit to the latest and greatest software. So far I had confirmed that my computer could talk to the Garmin. And that WebUpdater could see and upgrade the unit. There was clearly no problem with communications between my computer and the Garmin. I called Garmin support. First line support passed me on to a Software Specialist. We confirmed I was running the latest version. I deinstalled and reinstalled it. Still no controls. I rebooted Windows XP. Still no controls. I was put on hold for a while and during that time I did other things. Then, magically, I saw controls. POILoader now looked like the image you see here. BONUS! How do I reproduce this? It took me a while, but I realised the controls were there, just off screen. 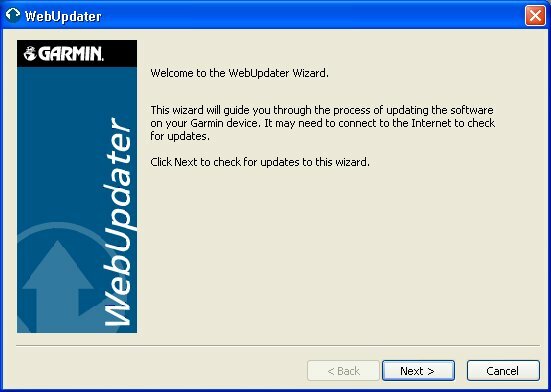 Look at the first image and compare it to this image of WebUpdater. See that horizontal line above the Back | Next | Cancel buttons? On the POILoader, these controls are off the bottom of the window, but they are still there and active. All I need to do is press the space bar and I activate the Next control (which is the default buttton when the application starts). OK, bonus. This is merely a visual problem, not an actual comms problem. I can use ALT-N to activate the Next button and proceed through the POI installation process. You’ve got to be careful, but it can be done. I have sent Garmin a link to this post. I hope it helps them via POILoader. In the meantime, I hope it helps you get past this problem. If your Windows taskbar isn’t at the bottom of the screen, move it there. That fixes the POILoader. If you reopen it, the controls appear correctly. Worked perfectly for me, thanks. This succeeded where reinstalling did not. Also the suggestion to bring taskbar to bottom did it too.